Recently, the latest interesting The Last of Us news have appeared. They include the information about the new format, in which the fans will see the popular survival horror, and about the probable continuation of this game. Let’s start in order. So, in honor of the upcoming project’s release on PS4, Naughty Dog company has announced The Last of Us: One Night Live theatrical show. Such actors as Troy Baker, Merle Dandridge, Hana Hayes, Annie Wersching and Ashley Johnson will take part in the performance. They all have worked on the creation of this game. And Neil Druckmann - the Naughty Dog’s creative director and writer - will direct the play. According to the information, The Last of Us: One Night Live theatrical show is an experimental project. It will consist of several action-adventure’s scenes, between which the game’s cinematic episodes will be shown, and the author of the project’s soundtrack - Gustavo Santaolalla - will perform his tracks. The Last of Us: One Night Live theatrical show will hit the Broad Stage in Santa Monica (California) only once - on July 28th. All those, who couldn’t purchase the tickets, will be able to enjoy the live broadcast of the play on Twitch, PlayStation Network's Live Event Viewer and Youtube. Besides such an unusual show, it’s possible that The Last of Us sequel will appear in the future. At least, the Naughty Dog’s community strategist - Arne Mayer - has mentioned about it in one of his interviews. "I think we always make a smart decision in that all of our games are self-contained stories so they don't have to continue if we don't want them to or if there's no reason for them to continue. It really comes down to is there something interesting in this universe we've created that we want to continue to explore? Is it something that we can get the entire team passionate about? We're just starting to explore ideas of what more could there be in this universe and starting that decision process. That doesn't mean the end result is guaranteed", - Mayer has said. 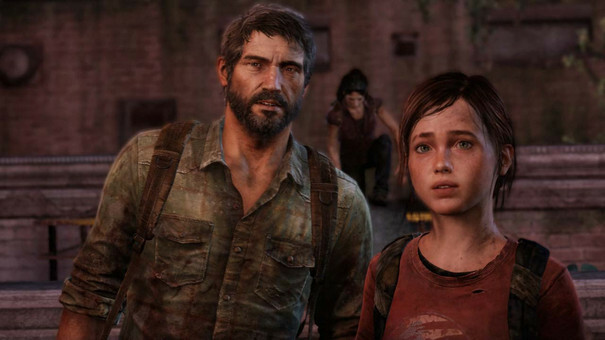 Well, even if Naughty Dog makes a decision to develop The Last of Us sequel, then probably it won’t happen very soon. Let us remind you that for the current moment the studio is busy with the conclusive part of the Uncharted game series. Will you watch the live broadcast of the theatrical performance? Would you like to see The Last of Us sequel in the future? You can leave your answers in the comments below.